To foster diversity and inspire acceptance of all, an incredible ‘Human Library’ in Denmark is allowing people to check out “interactive books” for half an hour. Its main difference from a ‘traditional’ library, however, is that the words are coming from humans volunteering to tell their tales. Readers who venture to ‘The Human Library’ can peruse the library catalog and select an experience to hear about – Child Of The Holocaust Survivors, The Gypsy Tale, Iraq War Veteran, and Orphanage Boy, are examples of story titles offered. Once a reader makes his or her choice, they are led to a discussion area to meet their book and hear the tale, cover to cover. The inspiring initiative was started in 2000 by a Danish youth-based nonprofit, “Stop The Violence.” The organization’s intention was to inspire conversation and foster understanding between different types of people that would normally not interact with each other. 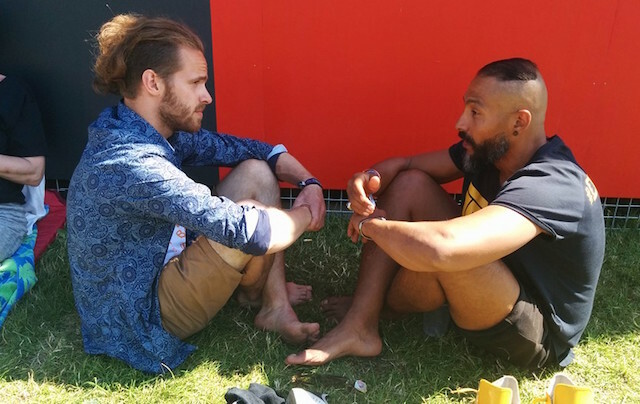 As GoodNewsNetwork shares, the first Human Library event was hosted at the Roskilde Festival in Copenhagen, one of the largest summer festivals in Northern Europe. The theme focused on community activities to help stop growing levels of violence and bias in the area. Now, the project has spread to over 50 countries across the world.